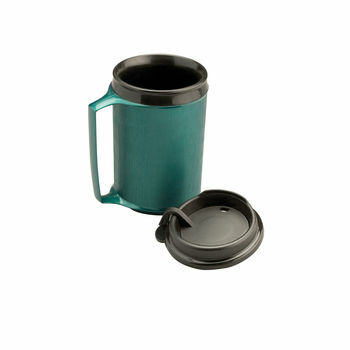 Insulated Mug - A plastic mug with double wall for insulation, keeping the contents hot but protecting the hand or table top. It has a large handle for easy gripping. Supplied with a lid. 250ml capacity.